But the battle to protect health speech goes on both in Europe and America. What do the words “probiotic,” “prebiotic,” and “superfood” have in common? In the European Union, it’s illegal to use them. Throughout the EU, the terms “probiotic,” “prebiotic,” “superfood,” and “antioxidant,” when used in relation to commercial food products or supplements, are now illegal….The European Commission believes that terms like “microorganisms” or “bacteria” is a more accurate way of referring to bacteria associated with the human gut that we have long called probiotics, despite the fact that some bacteria may be harmful or even pathogenic…. The Commission is equally concerned about how terms like “superfood” might mislead consumers and affect their buying practices. Any commercial operator that now uses this long popular term to suggest that pomegranate, goji berries, chia seeds, mango, blackberries, or green tea are somehow better for us than white flour or sugar or any number of processed foods, is now engaged in a criminal act in the EU. The same goes for the term “antioxidant” when used to refer to vitamins or polyphenol-rich fruits, vegetables or herbs. So for example, though we have a very substantial problem in our society with consumption of inappropriate foods, to say that taking Omega 3 fatty acids are good for ADHD children, would be illegal. Yet that may be a very important and fundamental piece of advice a practitioner needs to give to their client or patient. Unless your product is licensed as a medicine, you are not allowed to talk about its benefits, even if it is a food. You may not be able to share diet tips. You may be familiar with the case of Steve Cooksey, the North Carolina paleo blogger with an informal, “Dear Abby”-style nutrition advice column. The North Carolina Board of Dietetics claimed he was giving nutrition advice without a license. They literally went through Cooksey’s website with a red pen, crossing out any speech they deemed unsatisfactory. Dietetics boards across the country frequently commit abuses like this, limiting speech about nutrition by threatening legal action. You can’t talk about industrial farming abuses. Throughout American history, reforms to our industrial food system have been sparked by the eyewitness accounts of concerned activists (to use a famous example: Upton Sinclair’s The Jungle was the catalyst to the 1906 Food and Drug Law). But in many states, “ag-gag” bills have made it illegal to videotape or take a picture on a factory farm—even when an illegal act was occurring. These bills are simply meant to protect illegal or unethical operations from consumers’ prying eyes, and help perpetuate the sickening industrial CAFO system. Your doctor can’t tell you about natural treatments…. In Kentucky, doctors can’t discuss chelation therapy with their patients. In California, natural treatments for cancer have for many years been illegal, so a doctor can get in serious trouble just mentioning them. As you can see, your freedom of speech and your freedom to choose the treatments, supplements, foods, and practitioners you prefer are closely intertwined. …or what’s making you sick. Fracking can contaminate the water table and air with such toxic chemicals as benzene, toluene, etylbenzene, xylene, barium, and radium. A Pennsylvania law allows physicians to access information about the proprietary chemicals used by fracking companies when they sicken patients—but they must sign a confidentiality agreement that they won’t tell anyone else—not their patients, not other doctors—what’s in those formulas. Plain and simple, this places restrictions on what doctors can tell sick patients about their condition. A Facebook “Like” can magically turn a supplement into a drug… In 2013, the FDA issued warning letters to supplement company AMARC Enterprises because it “liked” a Facebook customer testimonial about how their product helped “keep cancer at bay.” FDA says this means AMARC made a disease claim (according to FDA regulatory-speak, a disease claim turns a supplement into a drug). Are companies now responsible for customer comments on social media pages, an increasingly important form of communication and interaction between companies and the public? 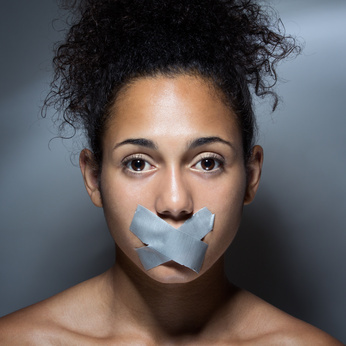 If a company stops allowing customer comments that might get it in hot water with the FDA, then the FDA has effectively censored consumer speech. …and quoting scientific studies can, too. Current FDA regulations prohibit dietary supplement manufacturers and food producers from referring to any scientific studies on the health benefits of a food or natural substance. In the FDA’s view, even providing a link on a website to a study converts a healthful fruit or nut into an unapproved new drug—a bizarre result that effectively censors scientific information and greatly restricts consumer access to scientific research. It’s vital that we remain consistently vigilant against these piecemeal attempts to violate the First Amendment. By maintaining our freedom of speech, we maintain our ability to speak out against our government and Big Business, share important information about the products we buy and the treatments we use, and protect communication between patients and doctors, as well as consumers and businesses. It’s unlikely that the First Amendment will ever be repealed—however, it’s clear that our freedom of speech is being chipped away slowly and subtly, one law and lawsuit at a time. That’s why proactive measures are just as important as defensive ones. For example, the Free Speech about Science (FSAS) Act, a bill that would change FDA regulations so that legitimate, peer-reviewed scientific studies can be referenced without changing the food’s regulatory category to an unapproved drug. This will protect access to scientific information, and will protect your right to know about the healthy benefits of food and food supplements. We expect this bill to be reintroduced soon, and will let you know when it’s time to take action. We must do as much as we can to pass our knowledge to the younger generations who will grow up in a world in which the corporatocracy rules—and for which censorship over communications about healthy foods and supplements is rife.